De Grandhomme averages 18.75 (Highest score is 41*) in eight T20Is. New Zealand all-rounder, Colin de Grandhomme, has replaced Andre Russell in the Kolkata Knight Riders’ squad ahead of the Indian Premier League (IPL) 2017, an official press release said. 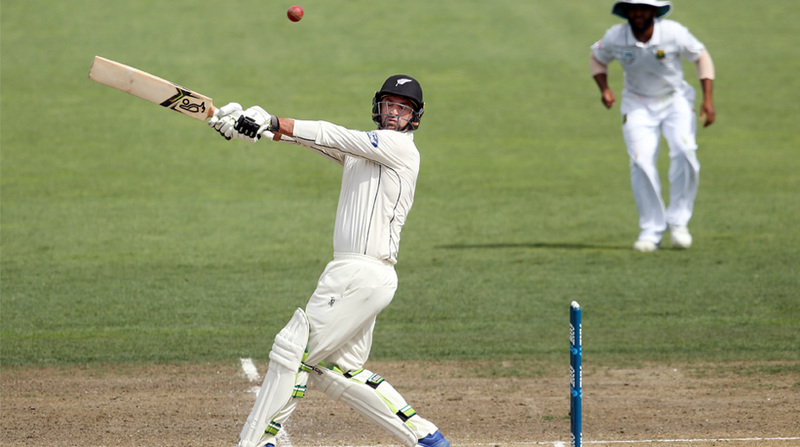 De Grandhomme has featured in six Tests, nine One-Day Internationals (ODIs) and eight T20 Internationals for New Zealand thus far. He made his Test debut for New Zealand in late 2016 and marked the occasion with a six-wicket haul. The 30-year-old right-handed player is a batsman primarily, but is known to be a disciplined medium-pace bowler as well. Born on the 22nd of July, 1986 in Harare, Zimbabwe, he switched his residence to Auckland in 2006 and has remained there ever since. He had already represented Zimbabwe at the u-19 level but felt that his cricketing career was better served in New Zealand and after joining the Black Caps, hasn't looked back since. De Grandhomme averages 18.75 (Highest score is 41*) in eight T20Is and has picked up three wickets at a strike rate of 20. The Kolkata Knight Riders commence their IPL 2017 campaign on Friday 7th April, 2017 at the SCA Stadium, Rajkot where they will face the Gujarat Lions at 8pm.